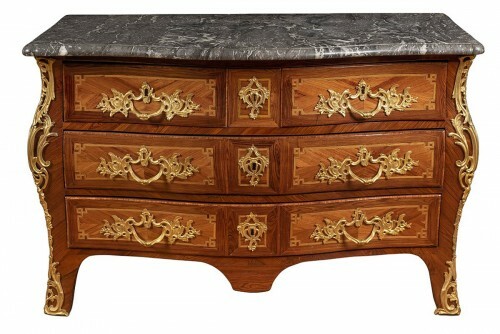 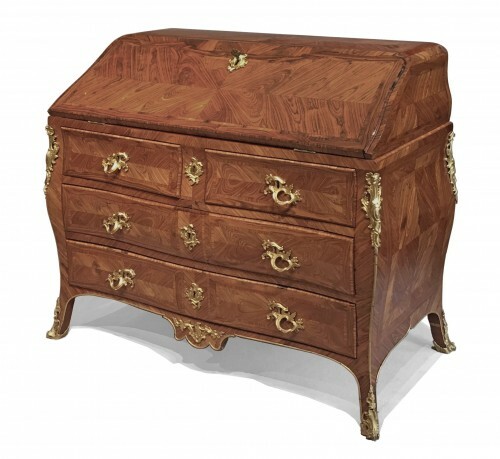 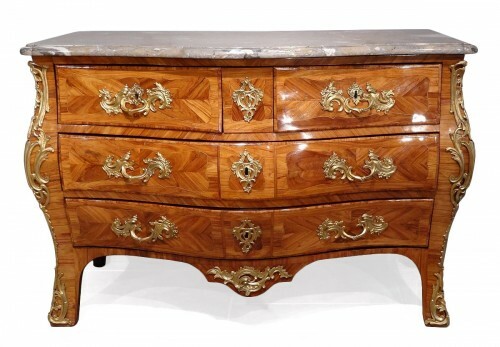 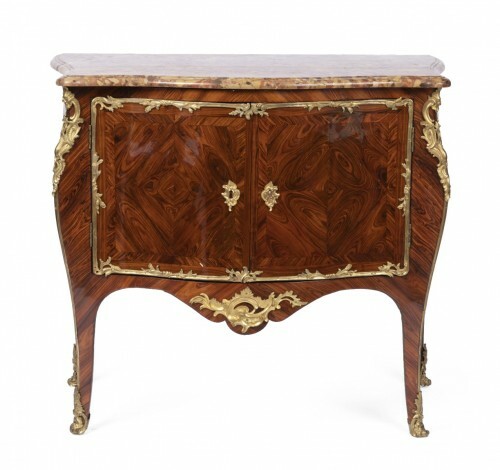 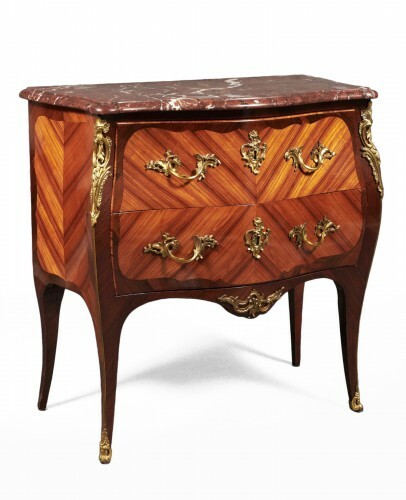 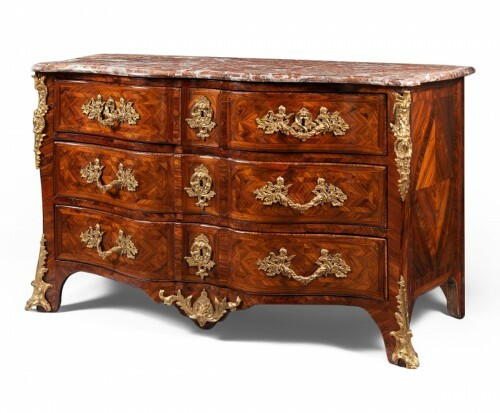 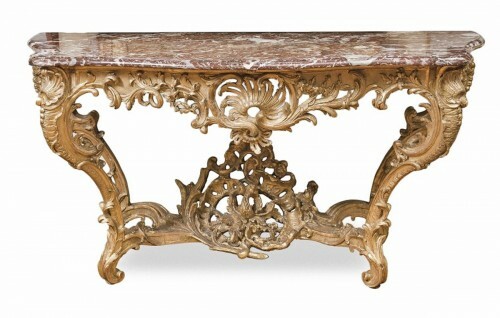 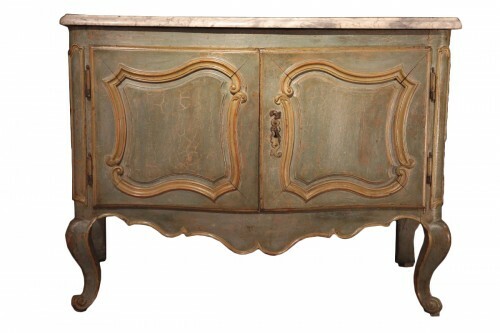 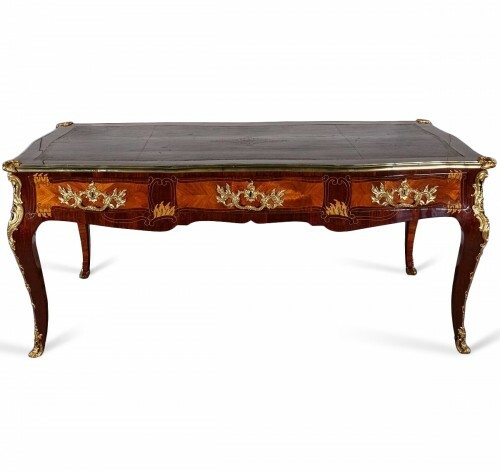 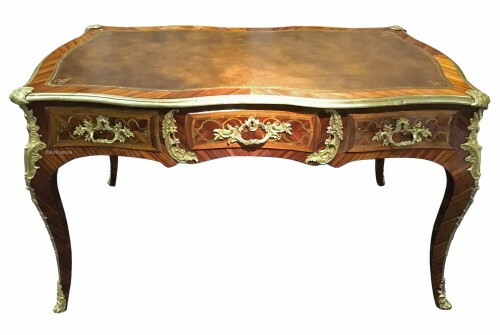 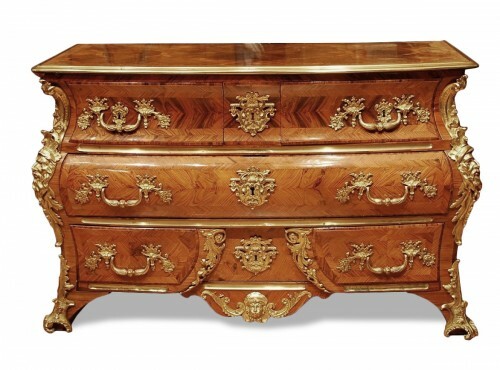 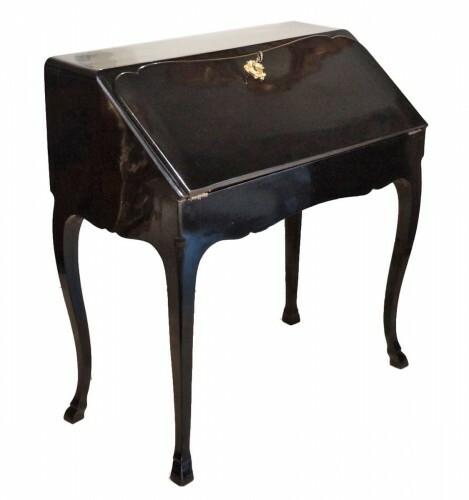 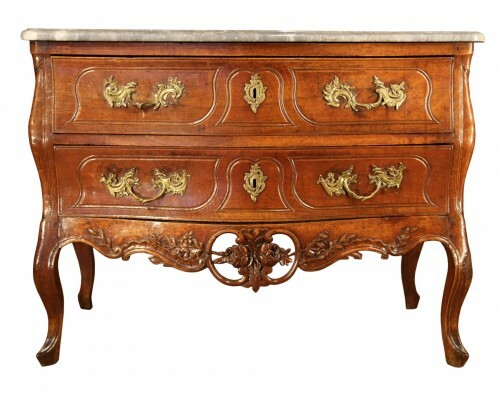 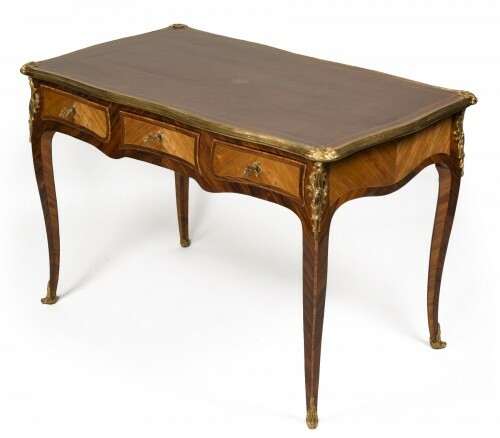 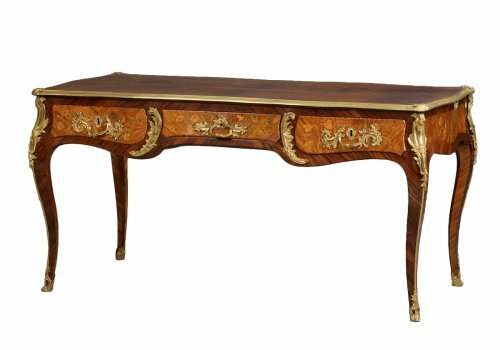 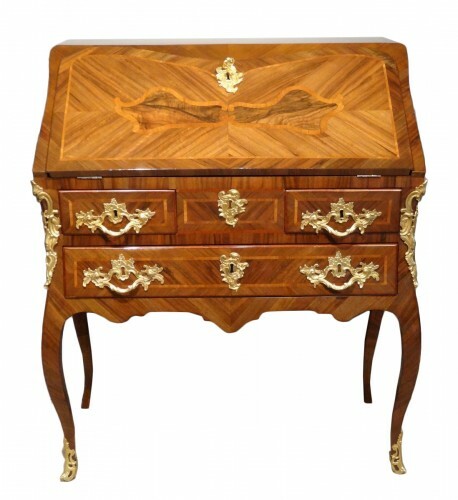 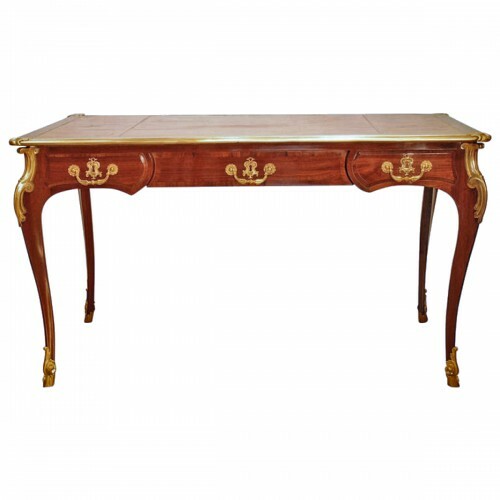 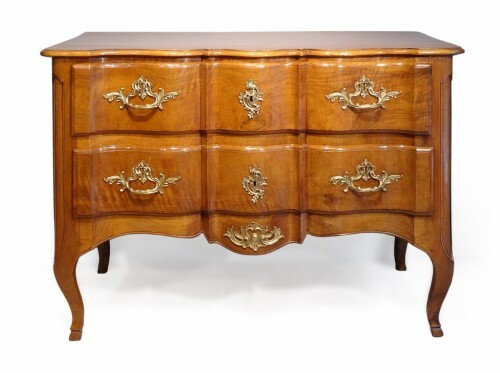 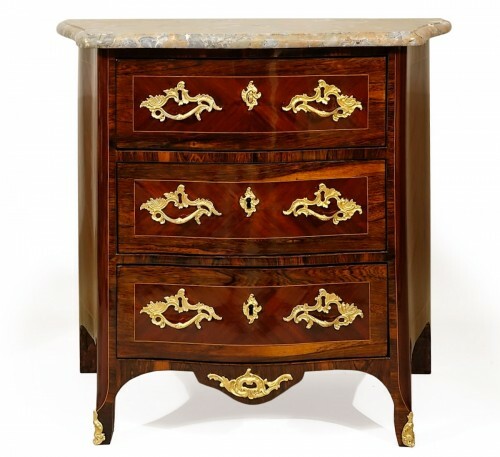 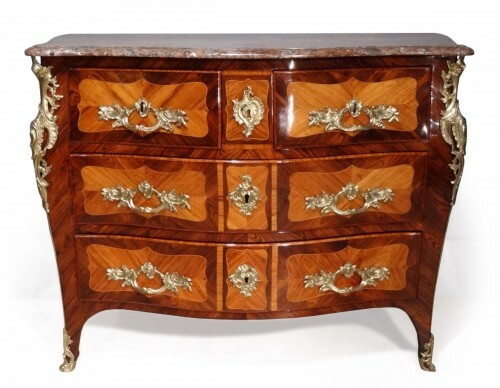 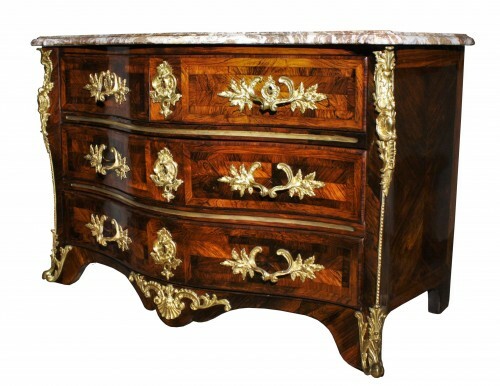 Louis XV furniture is deeply rooted in the rococo style. 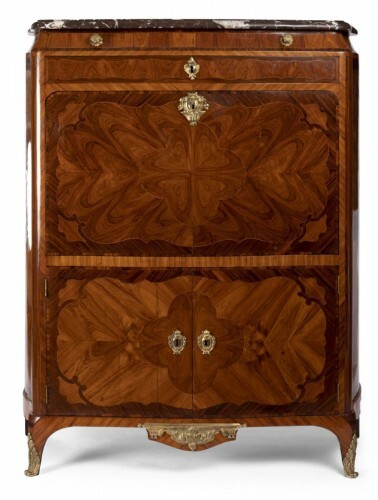 Symmetry gives way to asymmetry and pronounced curves. 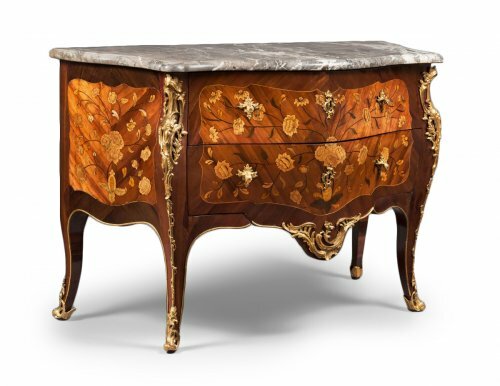 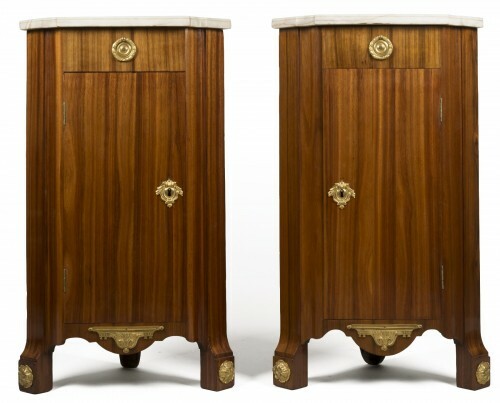 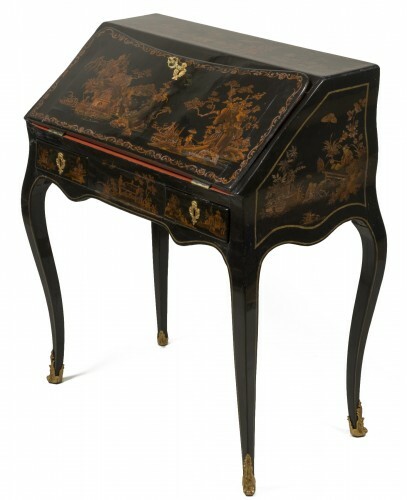 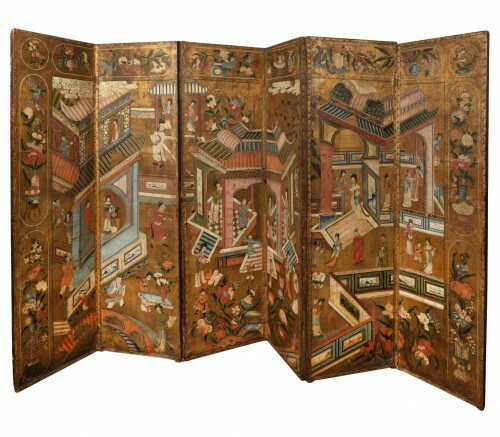 Marquetry and gilt bronze spotlight motifs borrowed from nature: animated foliage, bouquets of flowers, animals, fruits; but also seashells, romantic features, chinoiserie, female forms... Locks, corners, edges and ends of legs are adorned with bronze or brass. 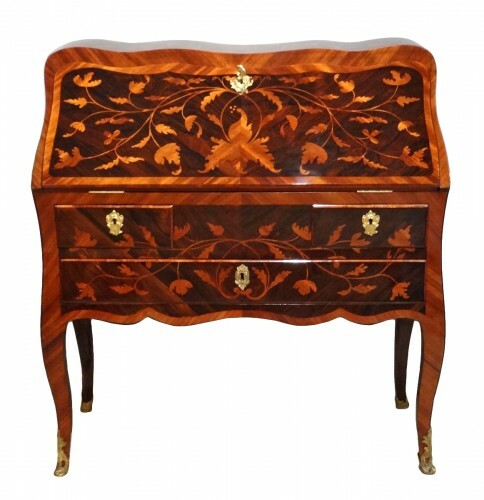 Marquetry of floral motifs, in curls, in a square or in fern patterns most often use amaranth, kingwood or rosewood. 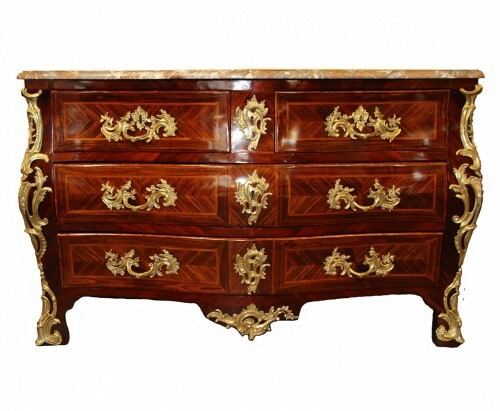 Mahogany is used solid or in veneers. 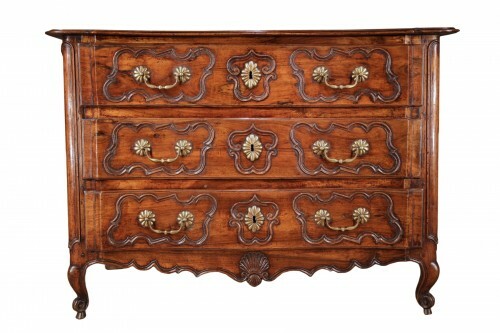 Provincial rustic furniture favours oak and walnut but also pine, cherry wood, beech and pear wood. 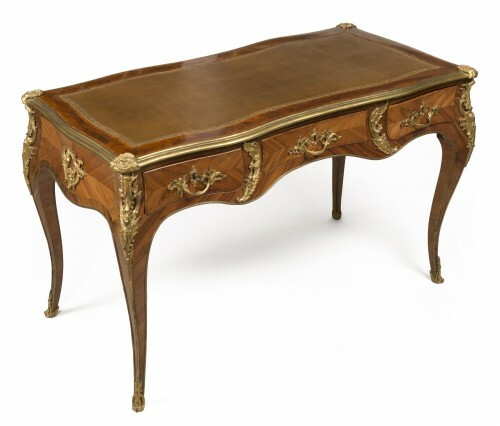 The base curves into a deer foot and is adorned with "roquillards" or volutes on its ends. 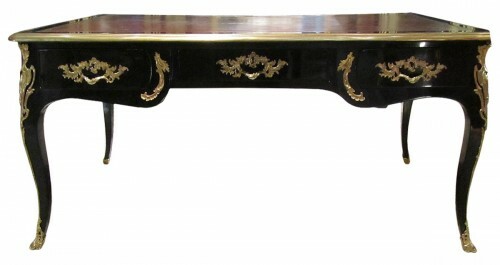 Porcelain inlay is introduced. 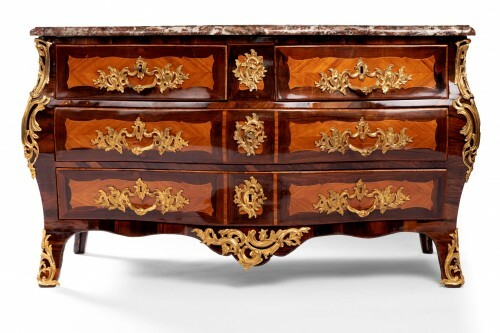 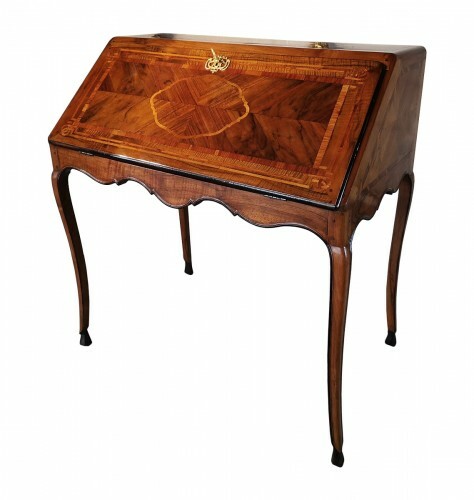 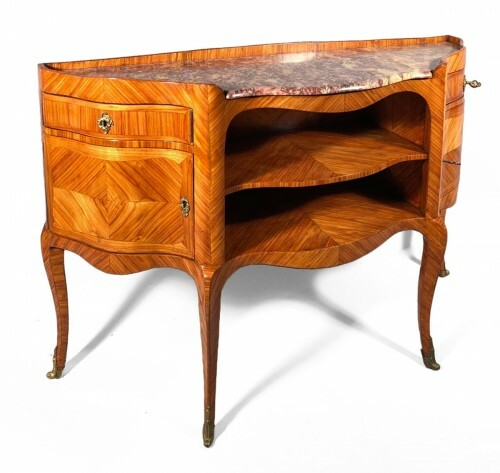 The principal cabinetmakers of the Louis XV era are Dautriche, Delorme, Dumoulin, Cressent, Gaudreau, Joseph, and Lacroix.